It’s ironic that two computer programmers that were not popular would care so much about popularity on the Internet but they do. Understanding link popularity in SEO is critical to becoming important on the Internet. The founders at Google have developed a system that relies heavily on how popular you are. The guys who were never in the in-crowd are making sure that only the sites in the in-crowd display in their system. Google began as a master’s degree research project. The basic premise of the research project was to develop a way to determine what sites were popular on the web. They did it by looking at what sites linked to a sites. The more sites a site had linking to it, the more popular the site. This is the essence of link popularity in SEO. The system of ranking sites by popularity is called page-rank. It is at the very foundation of Google. If you want to excel at Google you need to be aware that page rank is their baby and they take it seriously. The very guys that had few friends are now in control. They aim to make sure that you are popular before they’ll let you in their club. Page rank is more than the number of in-bound links. In the old days to manipulate rankings, black hat SEO people developed link farms. Link farms are thousands of low quality web sites that link together for no apparent reason, except SEO. Join a link farm and you have hundreds of inbound links instantly. It didn’t take Google long to close this loophole. They came up with a concept called page rank. Page rank is a number, from one to ten, assigned to every site. An inbound link from a page rank one web site means nothing. 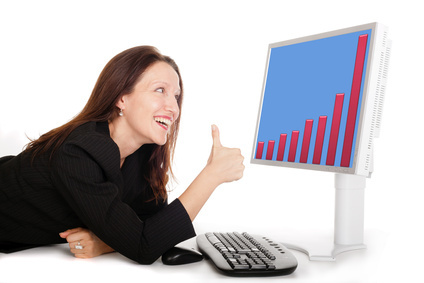 An inbound link from a page rank ten web site will set you up forever. The name of the off-screen SEO game is to procure inbound links from high page rank web sites. This isn’t easy to do. I’ve read dozens of web marketing books that proclaim to have techniques for getting inbound links but I have yet to read anything beyond the suggestion to write the webmaster. One high quality inbound link is gold. Say for example you write a blog that gets picked up by CNN.com. All of a sudden you have an inbound link from a page rank ten web site. If you can pull something like this off, your site will go right to the top and stay there. One way to get inbound links is to buy them. Google official hates people that pay for inbound links so you need to be careful. Before paying anyone for a link on their site make sure you check the site’s page rank. You can find a site’s page rank easily using third party tools. A site’s page rank is not a secret. Personally I’d want to see a page rank of four or higher. Then I’d want to see that the content on the site is pertinent to my subject matter. If both these criteria are met it may be a good deal. Like I said, inbound links are hard to get. If you’re a member of an association and they allow you to list your site, do it. This listing is a quality inbound link. If you do business with a company that has a web site strongly insist that they add your site. It may seem like a hassle but this is an excellent opportunity to gain a quality inbound link. A SEO professional doesn’t miss opportunities like this. These sites automatically carry a high page rank with Google. If you can get a link from these sites, do it. Many reputable sites have blogs you can post into. If you know of a site that has a blog related to your subject post into it and make sure you include a link back to your site. Every time you do this yet gain a quality inbound link. Putting content on your site that other people link to is gold. It can be anything as long as people link to it. Having content on your site that others link to is exactly what you want. If you can do this you are setting up a marketing program that could explode to the upside. Make sure you have listings in these sites and the listings include a link to you web page. 1. Avoid links from low quality sites. Check the page rank. Google considers a link from a low quality site to be spam. A low quality site hurts your ranking. 2. Put keywords in you inbound linked text if possible. 3. Inbound links are at the core of Google search. You can achieve page rank three on with on-page SEO but that’s about it. If you have aspirations of being big on the web, you can only do it through inbound links. 4. Getting inbound links from high page rank sites is hard but they are solid gold with search engines. 5. Monitor inbound links. It helps to know who is linking to you. 6. Collect inbound links as if they are rare collectibles because they are. 3. Google Plus – it’s Google’s Facebook. What more can you say? 4. You Tube – creating a video is an excellent way to gain exposure. Link these from your site.